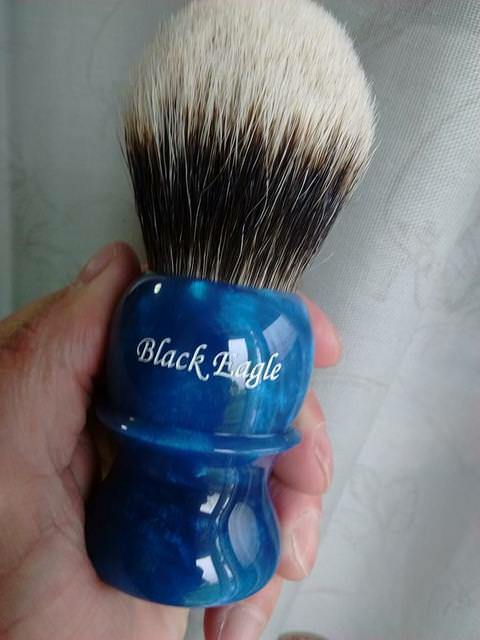 While perusing a few groups on fb I happened to come across a new brush maker from South Africa named Black Eagle Shaving. 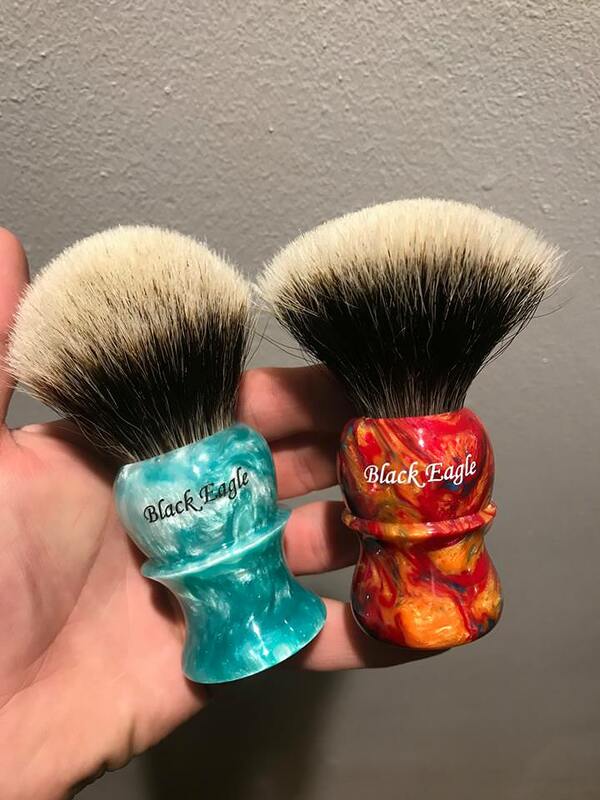 A couple of them caught my eye so I sent him a message to find out he's been making brush for just a little while and was going to be selling in the near future. We chatted back and fourth over a couple of weeks and I let him know I was interested in a couple of different shapes and colors. Well, towards the end of last week DHL happened to leave a wonderful surprise at my door for when I got home. I was a little surprised as it only took 5 days to get from South Africa all the way to Nebraska. On to the brushes. I bought one of each of the two different sizes he's offering right now. A 25mm Rhino in Purple Agapanthus and a 28mm Elephant in Blue Moon. As you can see they both have a nice bloom to them. I wouldn't call the knots gel tipped, but they are VERY soft with above average density. My first couple of uses with each I found the lather staying in the top 2/3 of the knot, so flow through and balance are excellent. Bradley said the knots he sources really start developing and breaking in after a good seven or so shaves. Well, if that's the case I'm really in for a treat. Because, as they are now I couldn't be happier. I know he's been hand tying some knots and trying out a few different batches of hair so that may be something he sells in the near future. Bradley is also keeping track of his knots so people will know what batch they are buying from as well as the characteristics of the knot itself. So, when you buy a brush you will get a note identifying the knot that is in your brush similar to Paladin. They look very nice & all the way from South Africa too! 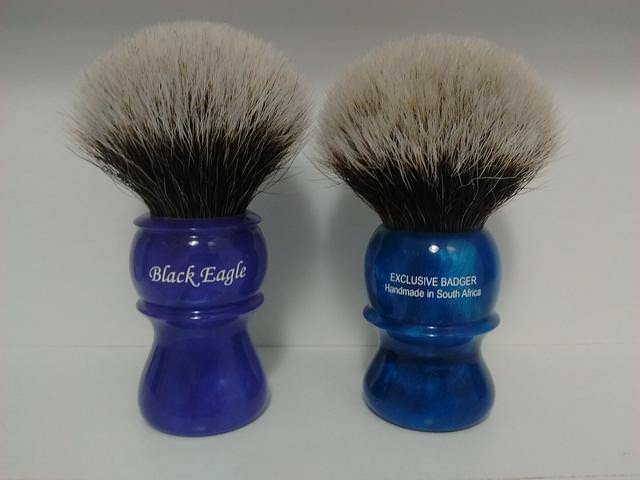 So many Artisan brushmakers now, fantastic buying choices for the global shaving audiences. The more is the merrier as they say & variety the spice of life. They're nice brushes with an unusual variation on the handle shape. The upper part is more rounded than typical brushes with that shape. The script looks Wiborgish. Looks really nice. Elephant in Pink Flamingo. 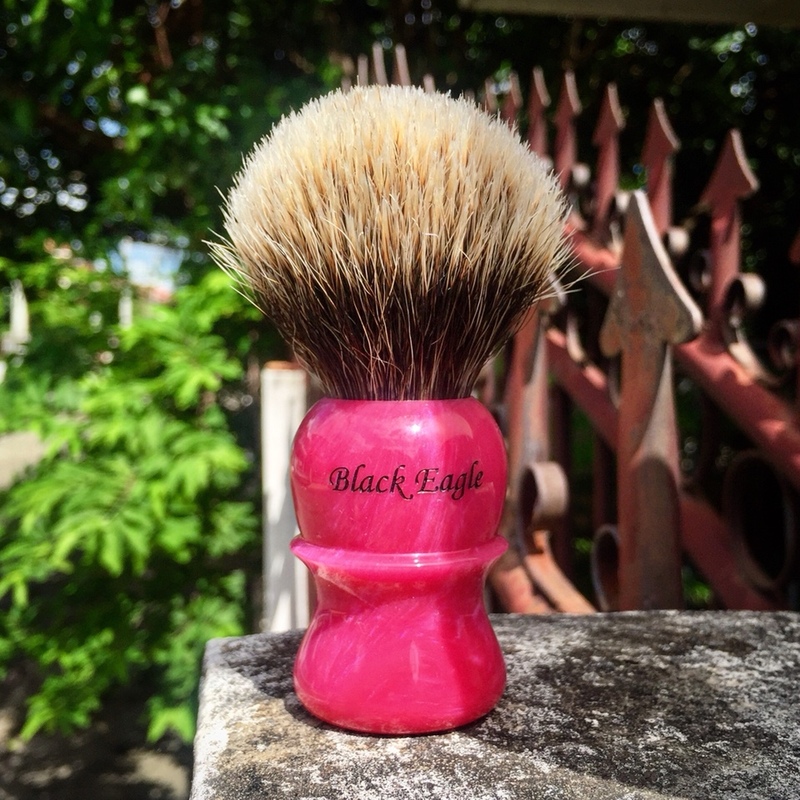 After a shampoo and palm lather this is an impressive brush. Looking forward to first face lather. I have 2 and absolutely love mine. I tried to get two more from Bradley at Black Eagle but he is extremely backed up so I believe the secret is out!!! Ha ha! They are on par with the best of them and I have them all to compare with. 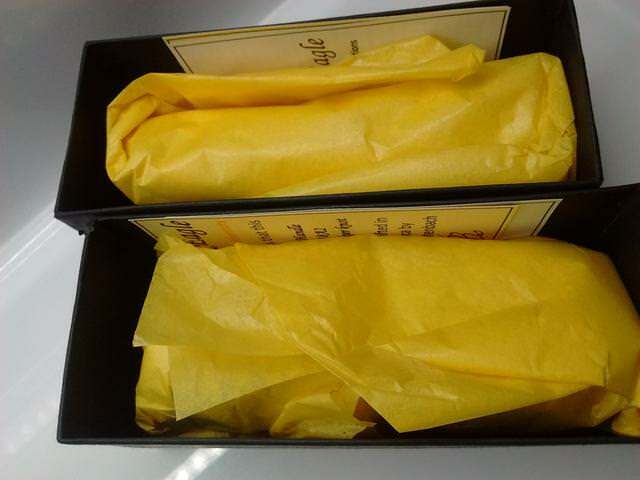 Beautiful packaging, Beautiful handles and Beautiful knots. 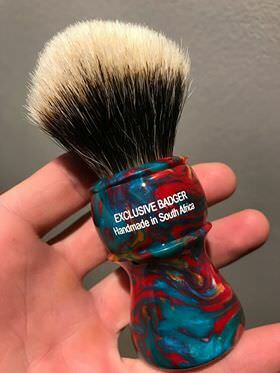 Really awesome new artisan brush maker and Bradley is a joy to deal with. 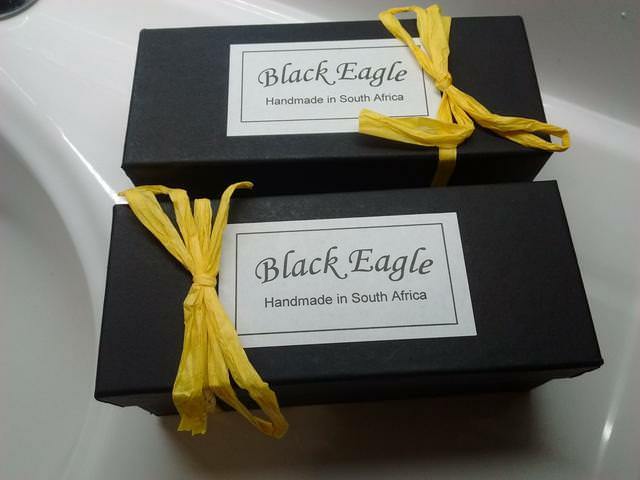 I was in RSA in March and found hardly anything to buy except some soaps and those I could not find in a retail shop. These are nice brushes!!! (05-22-2018, 11:27 AM)A.E. Simpson 1919 Wrote: They look very nice & all the way from South Africa too! 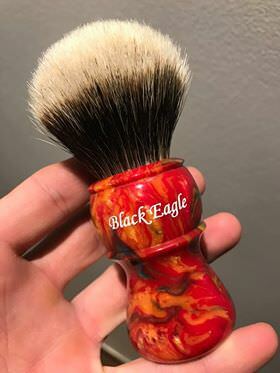 How does one go about purchasing a Black Eagle brush? Is it Facebook only? I hate Facebook. I went to his Instagram, but would love to see all the models and some resin options. Any help is greatly appreciated. 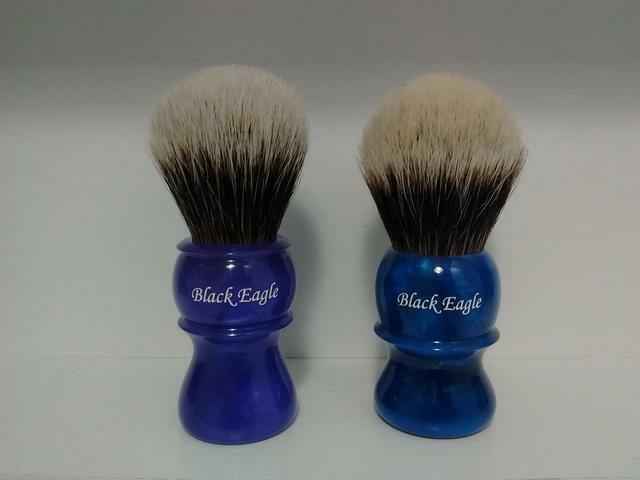 (07-12-2018, 12:50 PM)Sharp_Obsession Wrote: How does one go about purchasing a Black Eagle brush? Is it Facebook only? I went to his Instagram, but would love to see all the models and some resin options. Any help is greatly appreciated. 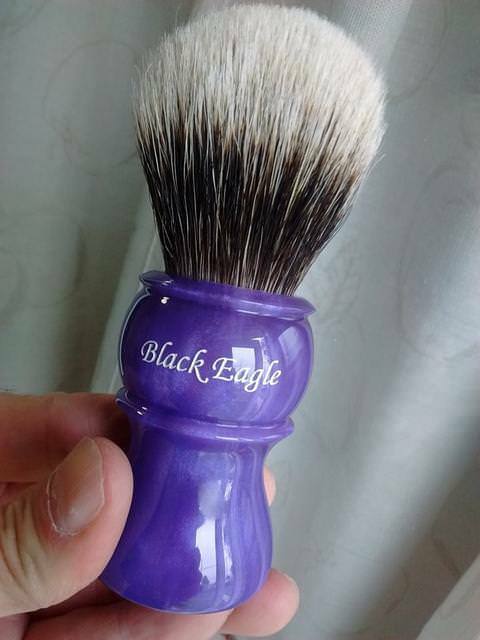 (07-12-2018, 12:50 PM)Sharp_Obsession Wrote: How does one go about purchasing a Black Eagle brush? Is it Facebook only? I hate Facebook. I went to his Instagram, but would love to see all the models and some resin options. Any help is greatly appreciated. You have to Private Message him on Facebook. Thanks. Had to join after avoiding Facebook forever. The brushes look way too nice and your reviews are way to inspiring. Thanks again. You can also message him on instagram.